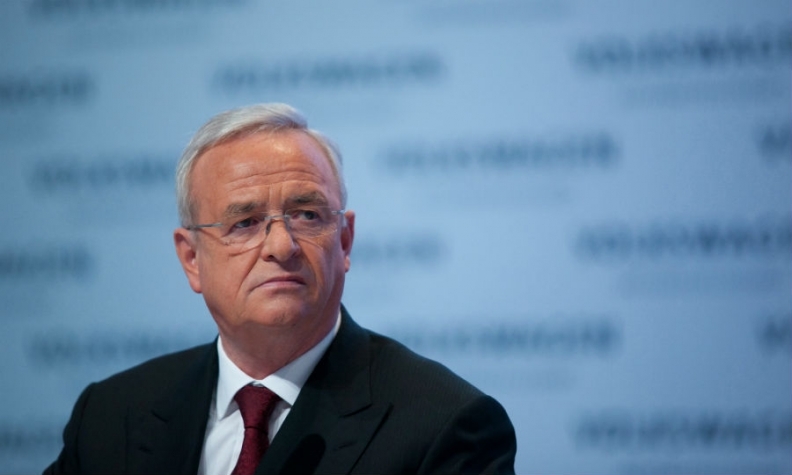 Winterkorn must defend U.S, investor suit. WASHINGTON -- Volkswagen Group and former CEO Martin Winterkorn must defend an investor lawsuit in California over the company's diesel emissions cheating scandal, a U.S. judge ruled on Wednesday. The plaintiffs, mostly U.S. municipal pension funds, have accused VW of not having informed the market in a timely fashion about the issue as well as understating possible financial liabilities, according to the court document seen by Reuters. The pension funds include those representing Arkansas State Highway Employees and Miami Police. The lawsuits said VW's market capitalization fell by $63 billion after the diesel cheating scandal became public in September 2015. The plaintiffs had invested in VW through American Depositary Receipts (ADR), a form of equity ownership in a non-U.S. company that represents the foreign shares of the company held on deposit by a bank in the company's home country. "Volkswagen is convinced that the accusations raised by buyers of the corporate securities (so-called American Depositary Receipts) lack any foundation," a spokesman at VW's German headquarters said by email. "It's our intention to make this clear in the further course of proceedings," he said. U.S. District Judge Charles Breyer rejected a request by VW brand chief Herbert Diess to have the proposed securities fraud lawsuits tossed out of a California court. Other defendants include VW's U.S. unit and its Audi of America unit and the former head of its U.S. unit, Michael Horn. Volkswagen argued that German courts were the proper place for investor lawsuits. Breyer said in his ruling that "because the United States has an interest in protecting domestic investors against securities fraud" the lawsuits should go forward in a U.S. court. VW in September 2015 admitted using sophisticated secret software in its cars to cheat exhaust emissions tests, with 11 million vehicles worldwide affected. The cheating allowed nearly 580,0000 VW's U.S. diesel vehicles sold since 2009 to emit up to 40 times legally allowable pollution levels. The lawsuits said VW and its executives misled the investing public "assuring them to the contrary - namely, that the diesel vehicles met all applicable emissions standards" and it "understated the liabilities that it would suffer as a result of its known emissions non-compliance." Volkswagen has agreed to spend as much as $17.5 billion in the United States to resolve claims from owners and federal and state regulators over polluting diesel vehicles. Volkswagen could still spend billions of dollars more to resolve a U.S. Department of Justice criminal investigation and federal and state environmental claims; come under oversight by a federal monitor and face other conditions. The Justice Department and VW are in settlement talks and it is possible a deal could be reached before Jan. 20, when President Barack Obama leaves office, according to sources briefed on the matter.